All cards approximately (closed) 4-1/4 x 5-1/2. Red card with hearts: paper punched hearts held with brackets. Blank. 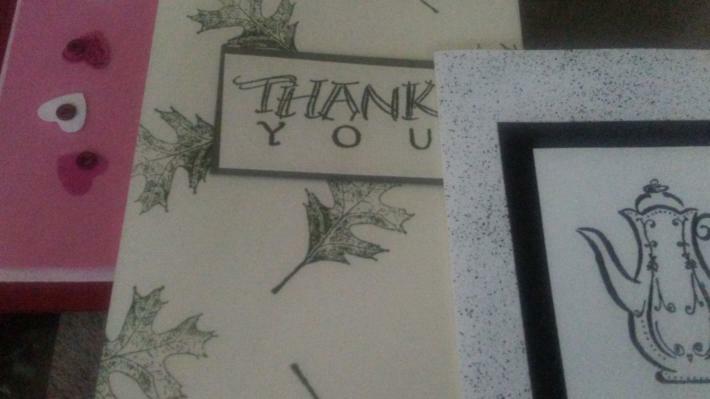 Ecru "Thank you": dye ink leaves and message. Blank inside. 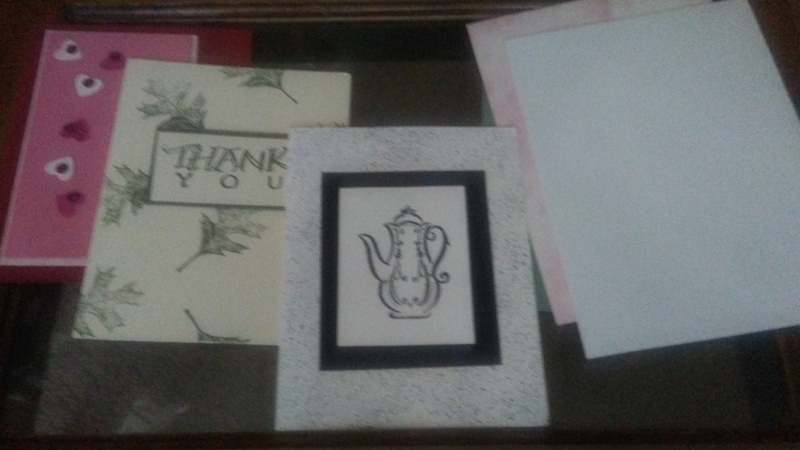 White card with pitcher: clear Embossed on black pigment ink. Inside: "thinking of you!" Includes one sage green, one white, and one pink marble-colored envelope.